Merchandising meccas and other commercial curiosities. Our exhibits range from the early 20th to early 21st centuries. An early 2000s-vintage view of the old Sears structure at FAIRVIEW POINTE-CLAIRE. 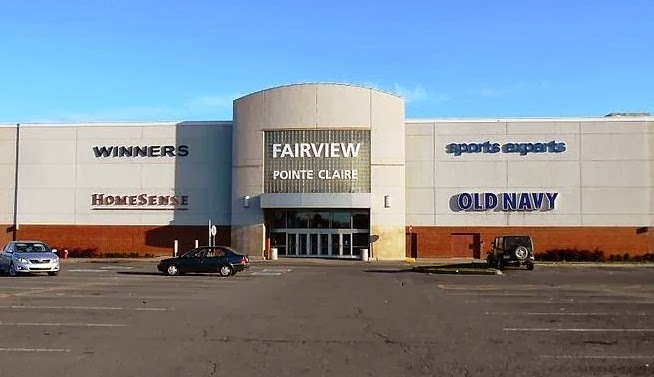 Following Sears' move into the old Eaton space, in the year 2000, it was sectioned into several big box-type stores. Photo from Wikipedia / "Jeangagnon"
Once a Steinberg supermarket, this building housed Metro and then Super C grocery stores before being retenanted by Deco Decouverte in 2002. 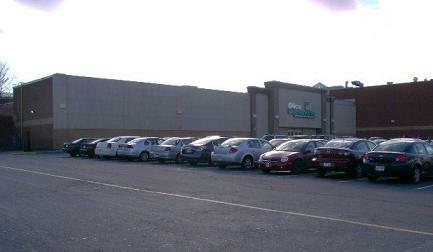 This chain, known as Home Outfitters in the English-speaking provinces, is a Bed, Bath & Beyond-type store. Photo from http://www.flickr.com / "Ghost of Steinberg's"